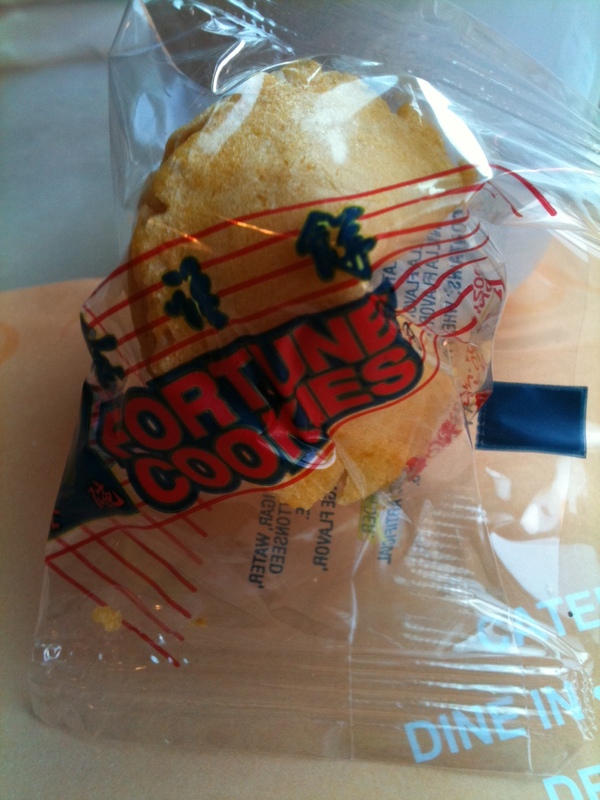 Accidentally Vegan: Golden Bowl Fortune Cookies are vegan! This week’s Accidentally Vegan feature is…. Fortune Cookies!!! We all deserve a bit of good luck, and now it seems that you can crack your cookie and eat it too! I found vegan fortune cookies after my meal at the China Palace restaurant last week. I remember several years ago that I could never eat fortune cookies because they always contained eggs. 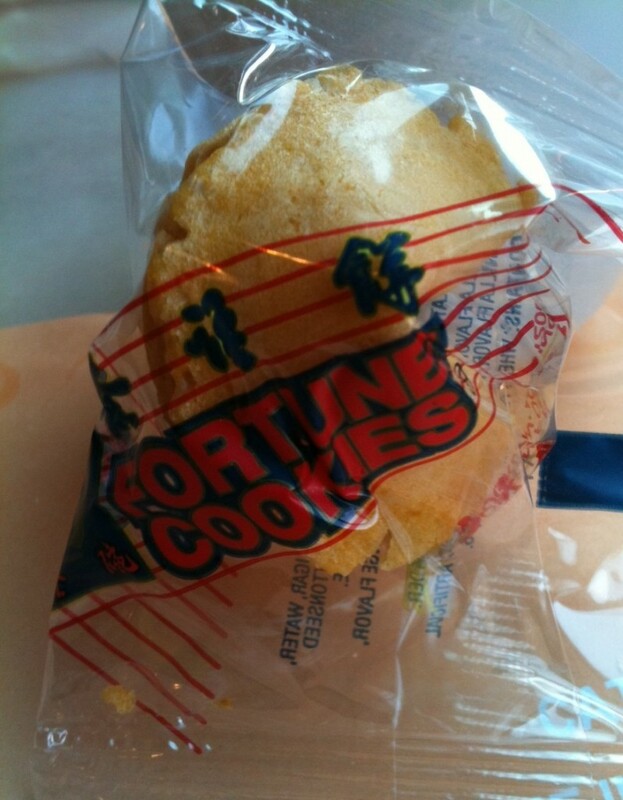 What a nice surprise it was to find that fortune cookies, at least in some places, are now vegan! If you’re out in a restaurant, I definitely urge you to check the ingredients on the back though, just to make sure. In case you love fortune cookies so much that you’d like to keep a stash on-hand, I did find vegan fortune cookies online through Amazon. I discovered that the Golden Bowl vanilla and citrus flavors are vegan. (The Golden Bowl chocolate flavor isn’t). Hmmm… these can be great conversation starters. Maybe I will use these as a treat at my next party! There are many reasons for going vegan… the environment, health, animal rights. We all have different reasons for the choices we make. I personally am happy that I can share a fortune cookie at the end of a meal and that it is free from eggs and egg wash. But what works for me isn’t necessarily the path for others. I respect your opinion and your vision of the foods you choose to eat. My goal is to celebrate and share the joy of vegan food and to let people know how many options they have. 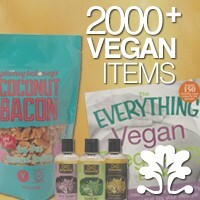 These items could include organic bars or vegan caramel… We all get to choose what we would like to eat. Thanks again for reading, Frank! I’m new to this site but I was surprised to see the Golden Bowl fortune cookies lauded as vegan. Perhaps they are but shouldn’t you be concerned with other nutritional aspects too? The back of my cookie lists: bleached wheat flower, sugar, water, partially hydrogenated soybean and cottonseed oil, soybean lecithin, sodium bicarbonate. Vanilla flavor and citrus flavor cookies contain artificial flavors and colors. So you are recommending Hydrogenated oils, and (likely) GMO soybean products, and cottonseed oil which is also usually toxic from all the junk sprayed on the plant. I don’t expect a reply, at this time I don’t know where it would show up, but if someone does reply I would appreciate it if the answers had specifics in them, addressing the things I have pointed out.